Smart home systems that rich people use are wildly different from the Amazon Alexa you may have just bought for your home. 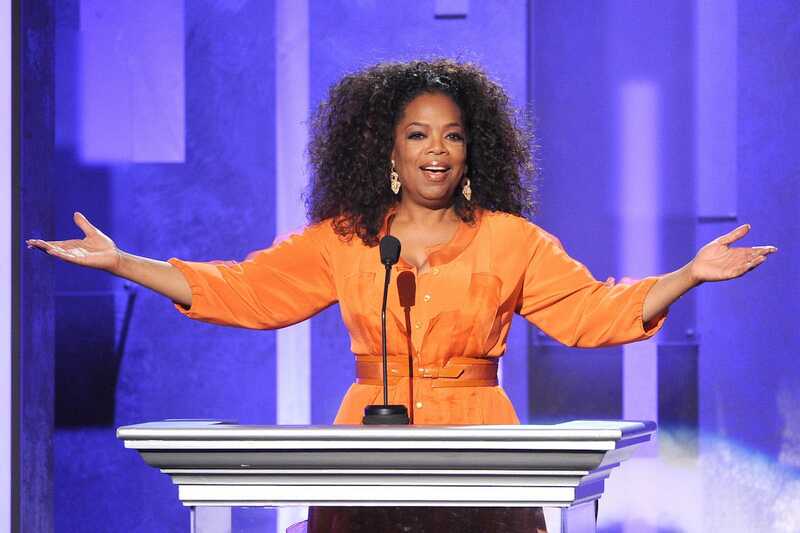 Oprah Winfrey has a radiant heat system that automatically melts snow off of her winter home's driveway, while Mark Zuckerberg's custom AI-powered specialty app acts as his own personal butler voiced by actor Morgan Freeman. Here are the major differences in the smart home systems owned by rich people. Rich people don't skimp when it comes to outfitting their homes with the latest tech. A "prominent Upper East Side" family was willing to pay a couple $100,000-$150,000 a year to oversee cooking, cleaning, personal shopping, and other household duties, according to a 2017 listing in Hire Society, as Business Insider previously reported. In addition to housekeeping, the position required the pair to be familiar with three modern smart-home technology systems: Lutron, Crestron, and Kaleidescape. If those brand names left you scratching your head, Lutron is a smart-home manufacturer that offers energy-saving light dimmers, switches, and shades that can control anywhere 50 to 10,000 devices. Crestron programs offer integrated lighting control, home security, speakers, and other technologies. Kaleidescape's multi-room entertainment server technologies that stream video and audio are the perfect systems for a rich person's at-home movie theater. Many of us have dreamed about living in a home where mundane tasks — like washing the dishes or turning on the TV — can be outsourced to a device. With the creation of products like the Amazon Echo and Google Home, that dream is closer to becoming a reality for the mass market. But if a couple of hundred of dollars can buy the average consumer these gadgets, what can those who have unlimited resources get out of their smart home systems? The answer: pretty much everything and anything they want. 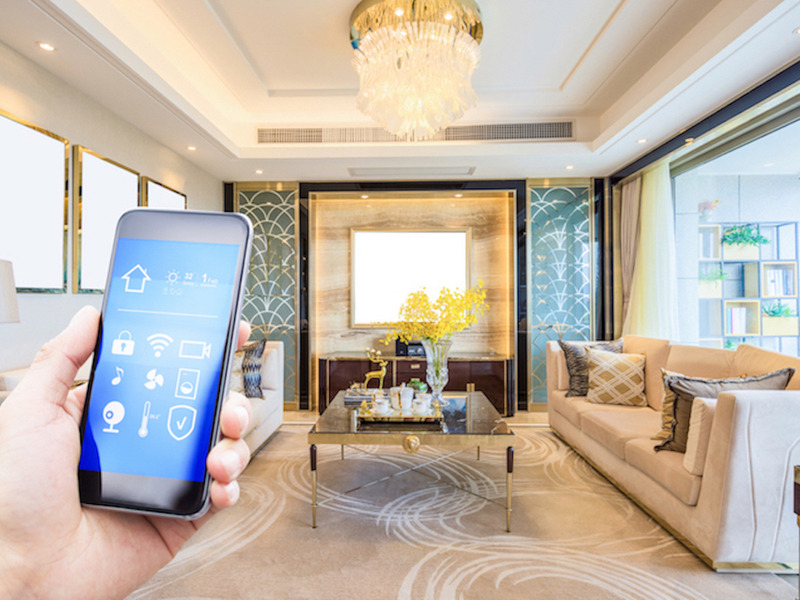 "Affluent households are far more likely to become early adopters of new technology than the average consumer, and smart home systems are no different," Winnie Bekmanis, who works in product marketing for the Internet of Things (IoT) at Qualcomm, told Business Insider. "What differentiates the pricier smart home systems is the scale of installation and personalization." Celebrity homes are the perfect examples of what personalized smart home systems can look like. In an interview with CNET, actress Sofia Vergara talked about building a smart house that lets her not only watch movies in her at-home theater, but also allows her to Skype with family and use her social media on a mega screen. According to the LA Times, media mogul Oprah Winfrey spent $14 million on a high-tech ski home in Telluride where a radiant heat system keeps the driveway completely snow free. Bekmanis said that when it comes to luxurious homes, those systems that can intuitively adapt to the entertainment or security preferences of the homeowner are naturally more desirable. "Smart home systems are key to connecting every disparate smart device in the house together smoothly," she said. "When these systems are automating trivial chores and tasks for the homeowner, such as turning off the house lights or making coffee in the morning, they can add up to serious time savings." 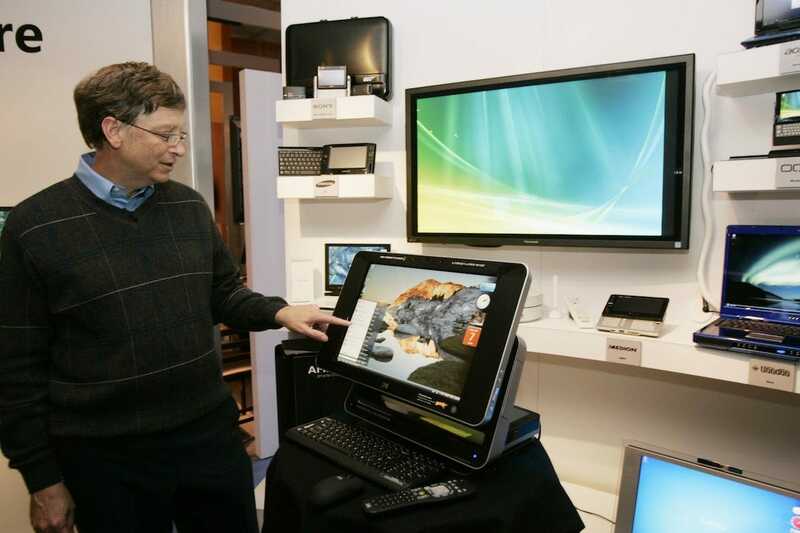 Guests in the home of Microsoft founder Bill Gates receive devices to connect them to the smart house technology, which includes controlling temperature, lighting, and music, Business Insider previously reported. 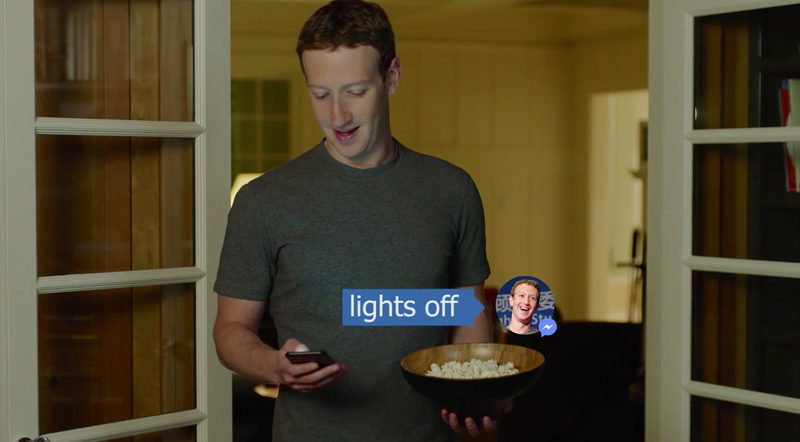 In a Facebook video, Facebook founder Mark Zuckerberg showed off his very own AI-powered home system, J.A.R.V.I.S, which is controlled through a specialty app that Zuckerberg created and is voiced by actor Morgan Freeman. According to Bekmanis, smart home systems make it easy to precisely control and customize nearly everything in your house from one interface. "One of the early markets to benefit from smart home technology was home security — encompassing everything from automated door and window locks to intelligent lighting and cameras. Advancements in artificial intelligence are making a notable impact on the development of these smart home security systems as well," Bekmanis said. "Imagine security cameras that recognize the difference between an intruder and Grandma, or send a notification when a child has lost their key and needs help with remote access," she said. If you're thinking of investing in your own fancy at-home smart system, Bekmanis said you should plan it out thoroughly. "People often forget to keep the strength of their home WiFi network in mind as they invest in a smart home system," she said. "As connected devices continue to grow in popularity, they become more deeply integrated into every room of the home." She recommended looking out for any spots in your home where it is difficult for devices to connect to WiFi, and to buy appropriate technology to fix that problem. "Traditional stand-alone routers do this technology a disservice by creating dead spots in notoriously difficult areas like the bathroom or basement," she said, which can affect smart refrigerators and washing machines. "Especially for larger homes, mesh WiFi systems are better suited for the job. The technology alleviates dead spots by scattering nodes throughout the home to keep the technology in each and every room reliably connected." With so many smart products out there today, smart home systems make it easy to sync our physical and digital lifestyles. So if Zuckerberg's AI system inspires you to want to create your very own at-home butler voiced by an actor of your choosing (I'd love Helen Mirren, personally), you better start saving. It's going to cost you. Christine Tsai has worked with hundreds of entrepreneurs since cofounding 500 Startups eight years ago, giving her some unique insights into what factors lead to success. She said successful founders tend to have two traits: they listen to feedback and they move quickly. To succeed, prospective entrepreneurs also have to open-eyed about the difficulty of the task ahead of them, she said. 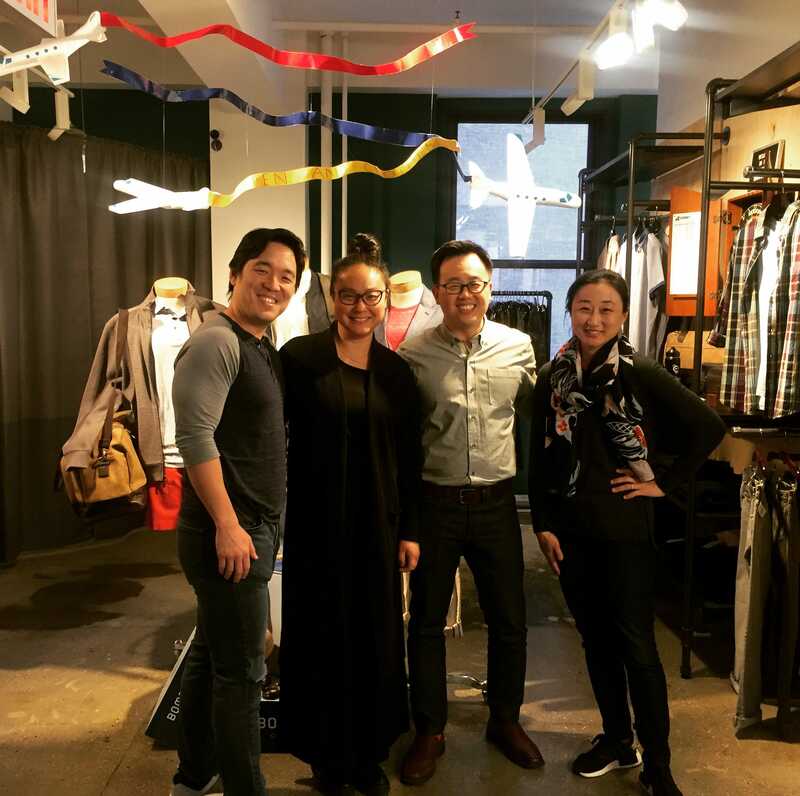 Christine Tsai has a lot of experience working with startups, and that's given her some pretty good insights on what makes entrepreneurs successful. 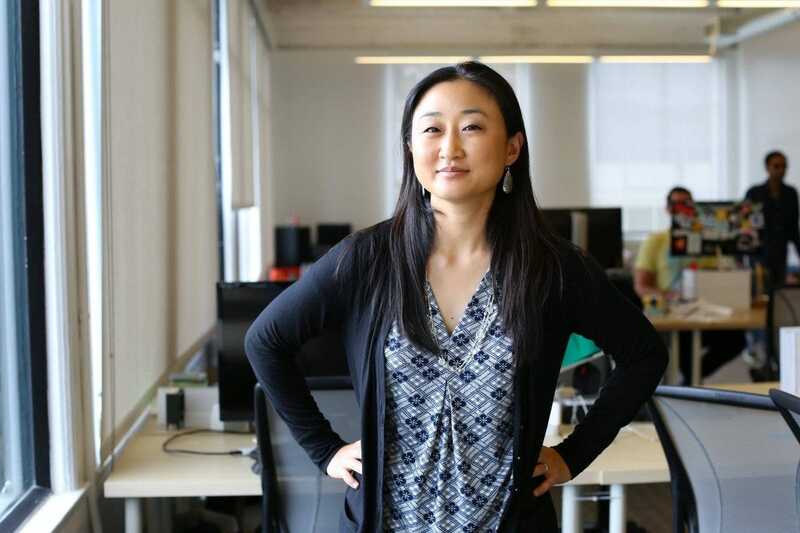 Tsai is the cofounder of 500 Startups, the famed Silicon Valley venture firm and startup accelerator. Since last August, she's also been its CEO, following the departure of Dave McClure, her fellow cofounder who left amid accusations of sexual harassment — accusations that she's declined to discuss in much detail. 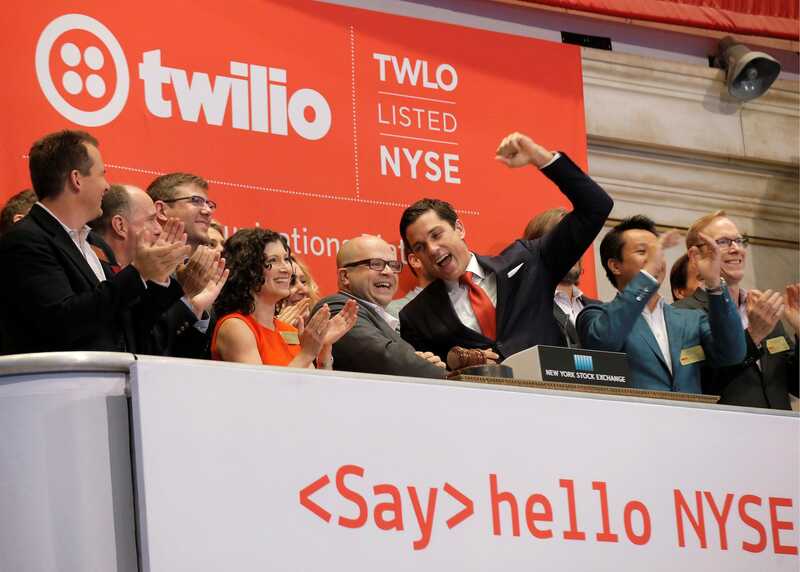 Launched in 2010, 500 Startups has helped incubate hundreds of companies and has invested in more than 2,000 total, including Twilio, which went public in 2016. Over that time, Tsai has gotten a close-up look at lots of startup founders and seen what works and what doesn't and what it's like to be an entrepreneur. Successful founders tend to have two key traits, she said in an interview this week with Business Insider. They're coachable, and they move fast. 500 StartupsTsai said people have this image of the successful entrepreneur being someone like former Apple CEO Steve Jobs — the "don't listen to anybody, I'm always right type of founder." But those types of founders usually aren't successful, she said. "I feel like those people who are like that, they succeeded despite being that way, not because they were that way," she said. That doesn't mean successful entrepreneurs need to be ultra-congenial or acquiesce to every suggestion made to them, Tsai said. But they do need to be open to suggestions. "They do listen," she said. "They do take the feedback from customers, from employees, from investors." 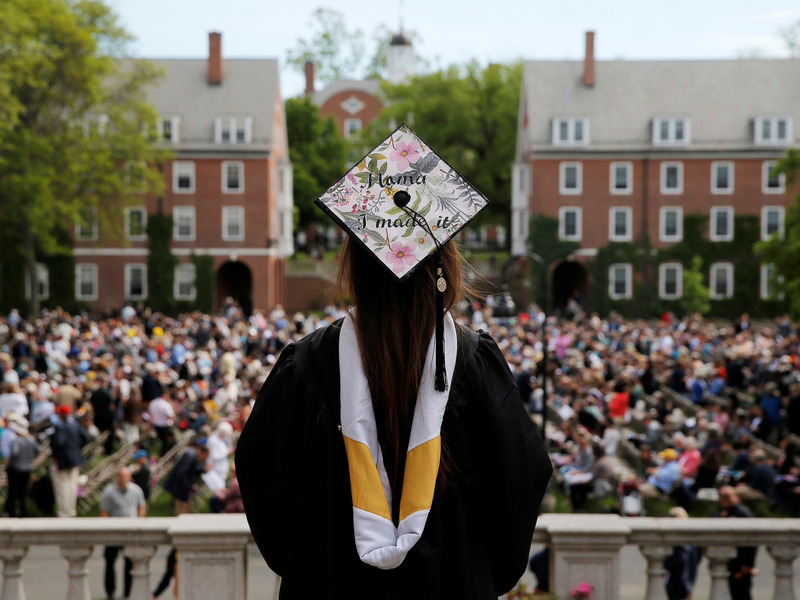 Successful startup founders also move quickly, whether it's launching new products or putting new strategies in place — or learning from mistakes, Tsai said. 500 startups meets frequently with the founders of companies in its portfolio to check in with them about how they're companies are doing and how things like fundraising are going, she noted. "It's always a bad sign if they say they're going to do something, and then a week later, two weeks later, they still haven't done it," she said. Successful entrepreneurs have to be careful not to be rash or reckless, she said. But they also have to avoid stalling and overthinking things. "It's a very fine balance, of course," Tsai said. But founders than succeed have a very acute understanding that they've got to move as quickly as possible. "You have a very limited runway either in terms time [or] cash," she said. 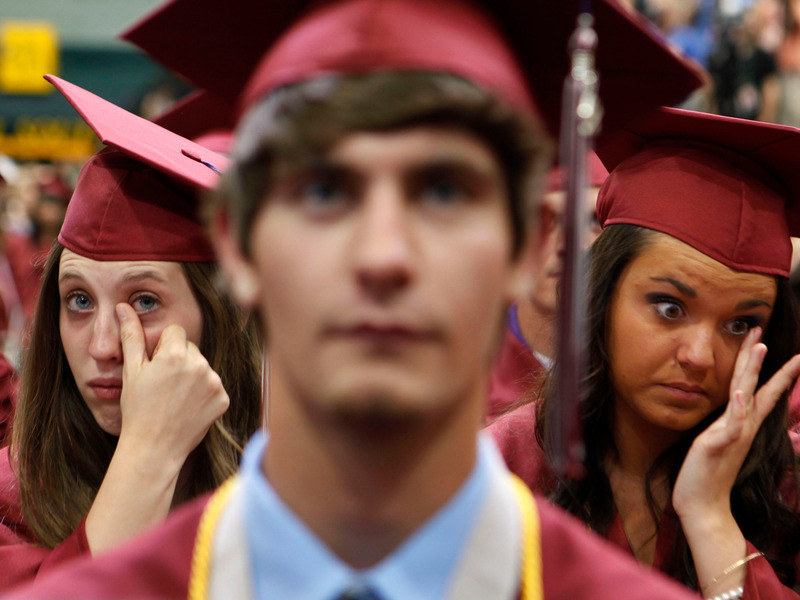 Reuters/Brendan McDermidTsai also offered some advice for prospective entrepreneurs: Understand what you're getting into. TV shows and news reports tend to romanticize the life of startup founders, particularly the super-successful ones. But founding and running a startup is usually anything but glamorous, she said. Most startups fail. Many entrepreneurs are trading a stable, high-paying job for an uncertain, lonely, and stressful existence. And the payoff — if there is any — usually only comes after years and years of hard work. "It's really sucky … it's really hard," she said. 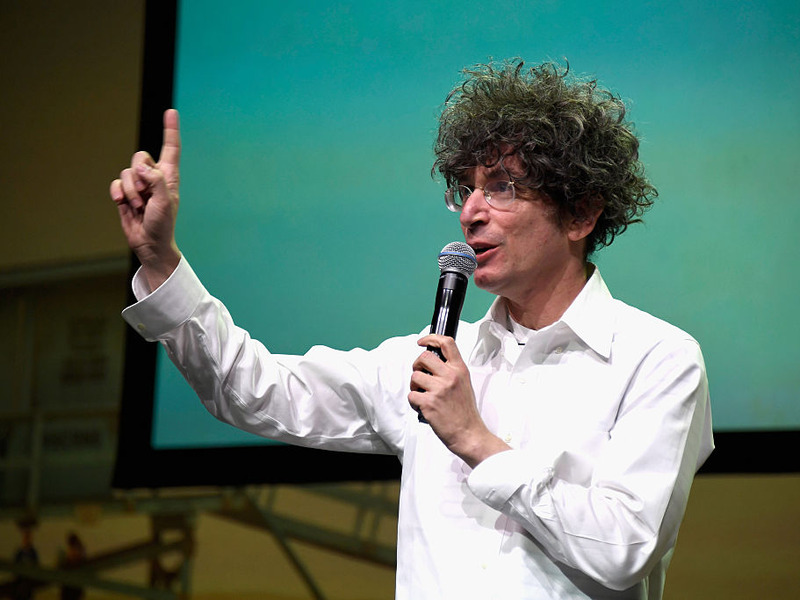 "I definitely do warn [entrepreneurs] about that." IBM senior vice president Bridget van Kralingen is known for creating and leading IBM's blockchain business. But she started her career as an industrial psychologist. In a recent interview, she offered some great tidbits on what bosses need to understand about human behavior. 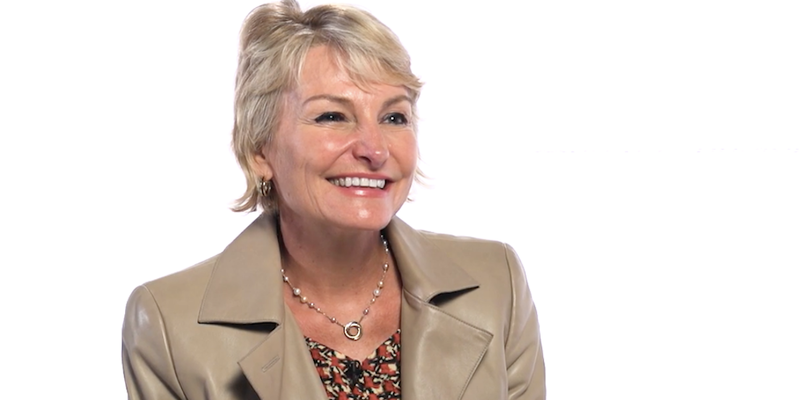 In the tech world, IBM senior vice president Bridget van Kralingen is known for creating and leading IBM's blockchain business. Because of van Kralingen, IBM is considered a leader in all things crypto among the major tech companies. But long before she became one of IBM CEO Ginni Rometty's top leaders and was credited with helping Rometty execute IBM's massive, multi-year turnaround, van Kralingen was an industrial psychologist and researcher back in her home country of South Africa. In a fun interview with The Wall Street Journal, van Kralingen offered a few interesting nuggets of advice about being a manager. The Journal asked her, based on her background as a psychologist, "what's the one thing every boss should know about human behavior?" Her answer: People "love affirmation." In other words, employees want to know when they're doing things right. Seems simple enough, but research shows that this concept almost can't be overstated in the workplace. "Employees overwhelmingly choose receiving words of affirmation as the primary way they like to be shown appreciation in the workplace," writes psychologist Dr. Paul White, based on research from 100,000 employees. White has published several books on workplace motivation. In the WSJ interview, van Kralingen also offered another, related bit of managerial advice. The best way to run a meeting is to "start with the goals and objectives and to make sure that everyone knows that they are interdependent to get those goals and objectives met." Total lunar eclipses and total solar eclipses are essentially the reverse of one another; the difference is the relative positions of the Earth, sun, and moon. A majority of Earth is in for an astronomical treat on Friday: the longest total lunar eclipse, also known as a blood moon, in a century. At 17:14 Universal Time that night (3:37 p.m. 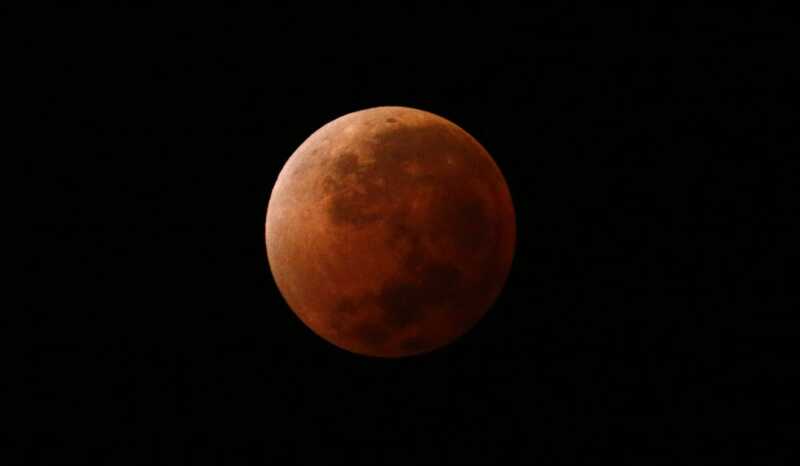 ET), the Earth will slip directly between the sun and moon, casting an orange-red shadow on the full moon. From the moon's vantage point, the Earth would appear to be surrounded by a 25,000-mile-around ring of fire. This event is not to be confused with a total solar eclipse like the one that was visible across a swath of the continental US last summer. Total lunar eclipses and total solar eclipses are essentially the reverse of one another. However, their appearances are very different. During a total solar eclipse, the moon passes between Earth and the sun, casting a small, dark shadow on our planet. For those watching on Earth, the moon appears to cover the sun, with a ring of the sun's light surrounding the moon. Looking directly at that light requires special glasses to protect the eyes from the sun's brightness. If you saw the most recent solar eclipse (full or partial), you'll remember that the circle of light looks colorless. That's because the moon has no atmosphere. Atmospheres, similar to glass lenses, can refract sunlight. During a lunar eclipse, however, the Earth passes between the moon and the sun, casting its shadow — known as the umbra — onto the moon. During this event, it's not dangerous to look up at the moon. Unlike the moon, Earth is surrounded by a blanket of air, which refracts the sun's light in a way that makes the moon appear orange-red. That's why lunar eclipses are also called blood moons. By volume, about 80% of Earth's atmosphere is made of nitrogen gas, or N2, and most of the rest is oxygen gas, or O2. Together, these gases take white sunlight — a mix of all colors of the spectrum — and scatter around blue and purple colors. Human eyes are much more sensitive to blues than purples, which is why the sky looks blue and the sun yellow to us during daylight hours. During a sunset or sunrise, sunlight reaching our eyes has passed through a lot more atmospheric gas, and this effectively filters out the blues and makes the light appear orange or even red. A similar thing happens during a lunar eclipse. Earth's atmosphere bends and focuses the sun's light into a glowing, cone-shaped shadow — the umbra. The red color is never quite the same from one lunar eclipse to the next due to natural and human activities that affect Earth's atmosphere. "Pollution and dust in the lower atmosphere tends to subdue the color of the rising or setting sun, whereas fine smoke particles or tiny aerosols lofted to high altitudes during a major volcanic eruption can deepen the color to an intense shade of red," David Diner, a planetary scientist at NASA's Jet Propulsion Laboratory, wrote in a blog post in 2010. If the weather cooperates, most of eastern Africa, the Middle East, and central Asia should see the full and total lunar eclipse on Friday. Scientists in Antarctica should also have a great view. 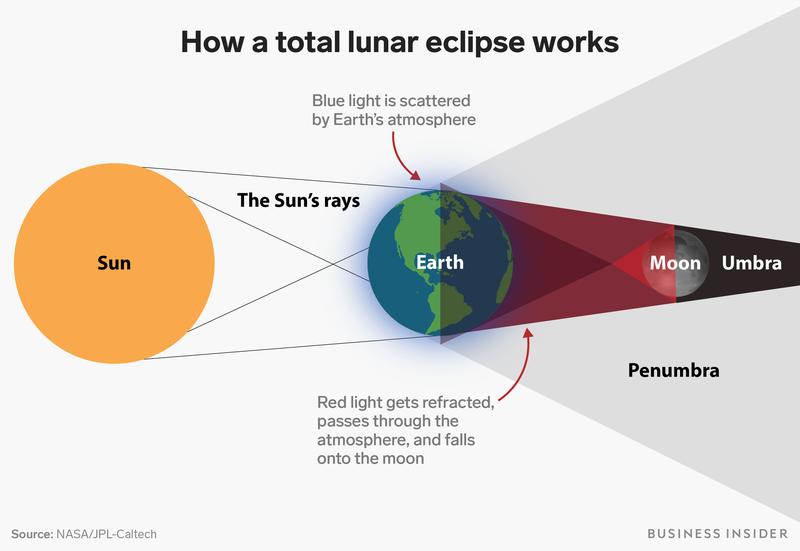 Europe, eastern Asia, Australia, Indonesia, and other regions will enjoy a partial lunar eclipse, where the moon passes partly through Earth's shadow. North America will be out of luck, though, since the moon will be below the horizon. People there can watch on one of several live webcasts. The total eclipse — when the moon is fully inside the red-hued umbra of Earth — starts at 19:30 UT and ends at 21:13 UT. That's a full 1 hour 43 minutes, which is just four minutes shy of the longest total lunar eclipse possible, according to EarthSky. The partial eclipse will resume immediately afterward, as the moon passes out of Earth's shadow, and the whole event will be over at 23:28 UT (early on July 28, depending on where you live). The next time a total lunar eclipse will last this long will be in the year 2123. After a quarter filled with negative headlines, Facebook reported lower-than-expected growth in revenue and daily active users in its second quarter earnings release. Facebook reported $13.23 billion in revenue between April and June 2018. A Thompson Reuters consensus estimate predicted the company would generate $13.36 billion in revenue.The company reported 2.23 billion monthly active users at the end of Q2 and 1.47 billion daily active users — an 11 percent increase year-over-year, but Wall Street predicted the company would report 2.25 billion MAUs and 1.48 DAUs this quarter. Facebook gave advertisers and analysts plenty of reasons to worry this quarter — with Congress threatening to regulate Facebook, the roll out of tighter restrictions on political and issue ads that frustrated some advertisers, the company continuing to face criticism over its handling of fake news on Facebook and WhatsApp, and the fallout of Facebook failing to stop Cambridge Analytica from violating its data policies still fresh in consumers’ minds. In a world of ubiquitous global positioning, tracking a crowd’s movement has never been easier — if you’re not following them around an office, that is. The logistical challenges posed by corners, hallways, doorways, and conference rooms make indoor people-tracking a real problem, but that didn’t stop entrepreneur Andrew Farah from trying — and succeeding. Farah is the cofounder and CEO of Density, a startup that uses depth-measuring hardware and a machine learning backend to perform real-time crowd analytics. Clients use its stack to figure out which parts of their offices get the most use and which get the least, and to deliver people-counting metrics to hundreds — and in some cases thousands — of employees. It’s also the most wasteful. During a typical workweek, desks are only used 59 percent of the time and meeting spaces 39 percent of the time, research shows. And paid-for square footage often remains vacant — the federal government, for example, spends up to $1.7 billion a year maintaining 770,000 empty office buildings. Above: The view from one of Density’s sensors. Farah conceived of Density’s core technology at Syracuse University, in graduate school, while at a mobile software development firm. His modest goal was to measure the busyness of a popular coffee shop, Cafe Kubal. “I didn’t want to have to trudge through three feet of snow in the winter if there was a line,” Farah said. He explored a couple of different solutions, but eventually settled on one — an infrared-based system — that would form the foundation for Density’s people-counting tech. The prototype wasn’t perfect — it couldn’t tell if lines were forming or differentiate between two people holding hands. But eventually, after four years of development, Farah and the startup’s growing team of engineers got it down to a science. Density’s sensor operates sort of like a small laptop. It’s a rectangular box that fits in the palm of an average-sized hand, belying its complexity; it consists of over eight hundred components sourced from 137 unique supply chains Density manages itself. The sensor attaches above a doorway, and tracks movement frame-by-frame with two infrared beams that bounce off of the floor. Algorithms filter out signal noise — boxes, strollers, pushcarts, plates, and other items being carried or pushed — to measure the direction, collision, and speed of people walking into and out of view. The data is funneled via Wi-Fi to Density’s cloud-hosted backend, where it’s processed and analyzed. A basic web dashboard provides insights like the real-time capacity of a room and historical crowd sizes, and an API allows third-party apps, services, and websites to make use of the data in novel ways. One of Density’s clients — a large pharmaceutical company that Farah decline to name — uses the sensors to keep its restrooms speck and span by deploying cleaners every 70 uses. Other uses include identifying which building entrances are most used during evacuation drills, or estimating the number of people on the top floor of an office during a fire. “Density can do a lot of good,” Farah said. There’s another advantage to its infrared method of people-tracking, Farah said: privacy. Unlike a security camera, its sensors can’t determine the gender or ethnicity of the people it tracks, or perform invasive facial recognition. Density doesn’t charge for hardware. Instead, its customers — which include a network of homeless shelters, theme parks, Ivy League colleges, and others — pay a monthly ($95 per sensor) or annual fee ($45 per month per sensor) for access to the data. Ride-hailing giant Uber uses the sensors in one of its support centers to make sure the center is adequately staffed. Asked about future expansion, Farah acknowledged that there’s potential in retail. But in the near-term, he said that Density has no plans to pivot away from the corporate world. Density has raised more than $16.2 million from Upfront Ventures, Ludlow Ventures, Dawn Patrol, and others since its founding in 2014. It is headquartered in San Francisco. 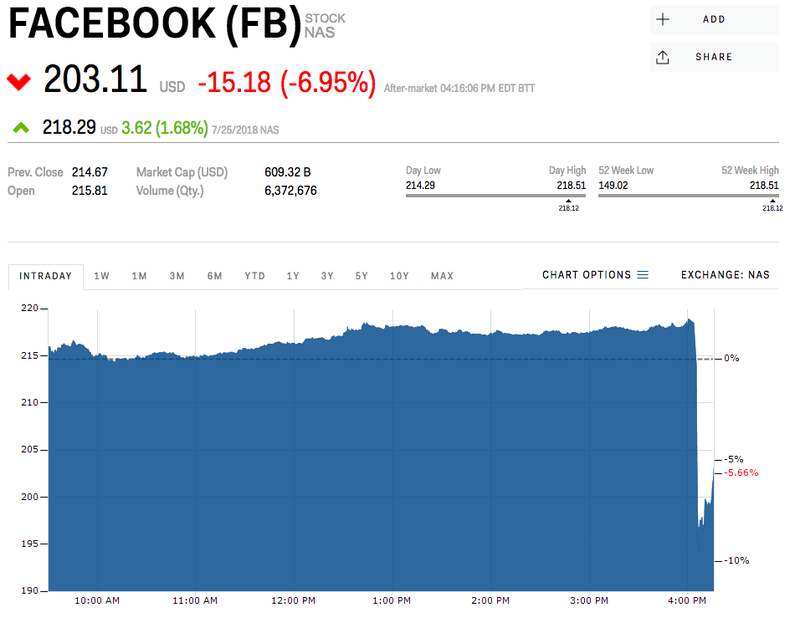 Facebook shares sank by as much as 12% in after-hours trading on Wednesday after the company reported revenues and user metrics that fell short of analysts' expectations. Facebook's second-quarter revenues totaled $13.23 billion, lower than analysts' forecast for $13.33 billion according to Bloomberg. It was the first time since 2015 that Facebook missed revenue expectations. Monthly active users totaled 2.23 billion in the quarter, missing the forecast for 2.25 billion. Daily active users totaled 1.47 billion, versus 1.48 billion expected. Earnings per share beat expectations, at $1.74 versus $1.72 forecast. The results followed an eventful quarter in which Facebook dealt with the fallout of the spread of Russian propaganda on its site, the Cambridge Analytica scandal, and controversy over how it moderates disinformation. In a phase 2 study of more than 800 patients with early Alzheimer's disease, those who received the highest dose had a reduction in the proteins associated with the disease and their cognitive decline slowed when compared to the placebo group after 18 months. But a number of questions remain about how well this drug will do in later-stage clinical trials. 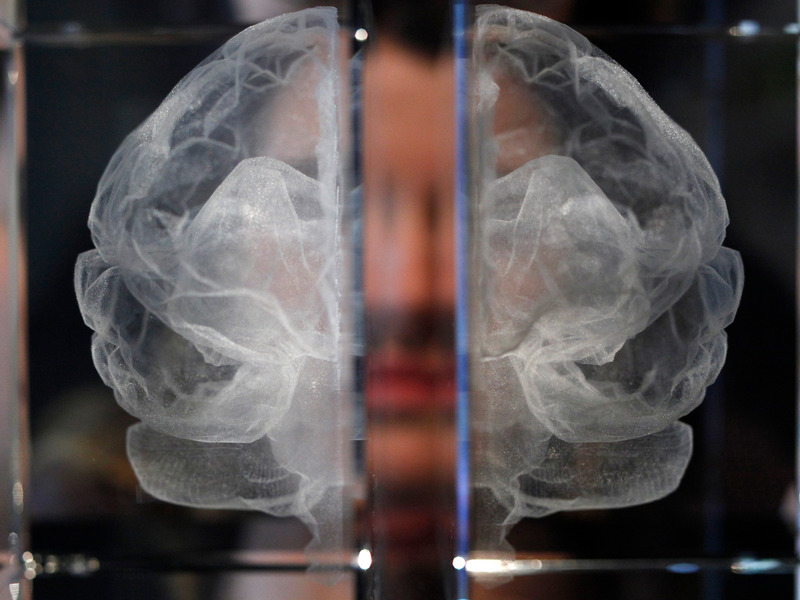 The search for better treatments for Alzheimer's disease hasn't been easy. Alzheimer's affects more than 5.7 million Americans, a number that's expected to balloon to 14 million by 2050. There are only four drugs that have been approved to treat the symptoms of the disease, and the most recent drug approval happened in 2003. One approach companies are trying is to target certain beta amyloid proteins, which accumulate in the brain of people who have Alzheimer's. This idea of targeting beta amyloid deposits in the brain to clear them out is known as the "amyloid hypothesis." But there's one major drawback to the amyloid-beta approach: In people who have Alzheimer's, these deposits build up in certain parts of the brain , but it's still not known whether the plaques cause the disease, or if they're just a byproduct. What does seem to be well established is that in people with the genetic version of the disease, there is a strong relationship between those mutations and amyloid plaques. And there have been a number of setbacks to the hypothesis. The amyloid hypothesis has already been put to the test and seen a few failures. For one, Merck's now-failed BACE inhibitor was also acting on the amyloid hypothesis to prevent the protein from forming and keep the disease from progressing. Solanezumab, a drug developed by Eli Lilly that also acts on the amyloid hypothesis, failed some key clinical trials, though the company is still testing it in the pre-clinical stages of the disease. But in July, drugmakers Biogen and Eisai announced that their phase 2 trial of an injectable anti-amyloid beta drug — known as BAN2401 — showed a reduction in amyloid plaques and their cognitive decline slowed when compared to the placebo group after 18 months in a group of patients with early Alzheimer's disease who had received the highest dose of the treatment. More details on the trial will be presented Wednesday afternoon at Alzheimer's Association International Conference. Here's what you need to know about the trial, which was the first positive results the industry's had in years. The phase 2 trial looked at 856 patients with early Alzheimer's disease, who were randomized to different doses of BAN2401 or received placebo. The trial evaluated patient's Alzheimer's progression by using PET imaging to pick up amyloid plaques in the brain. It also used a new test to evaluate progression, rolling up three existing Alzheimer's cognition tests into one. "There will be a lot of discussion about whether this is valid," Maria Carrillo, chief scientific officer of the Alzheimer's Association, told Business Insider ahead of the companies' presentation. The trial also used a different set of statistics as part of its trial, which raised some eyebrows. Back in December, the companies had announced that it wouldn't hit its endpoints, based on data at 12 months. Now at 18 months, the companies saw a signal that it's working. Excitement about the trial's full results was high on Wednesday, with Biogen's stock up as much as 4%. But there was still some skepticism, especially around the statistics the company used as well as the new endpoint the company's used. "The enthusiasm for a statistically unsound analysis of a failed Phase 2 study that utilizes a company-designed endpoint meant to detect negligible clinical effects is palpable but, in our view, misplaced," Baird analyst Brian Skorney said in a letter Tuesday. BAN2401 isn't the only drug Biogen has in the works to tackle Alzheimer's. Its farthest along drug, aducanumab, is also going after the amyloid hypothesis. It's expected to have results in 2019 or early 2020. 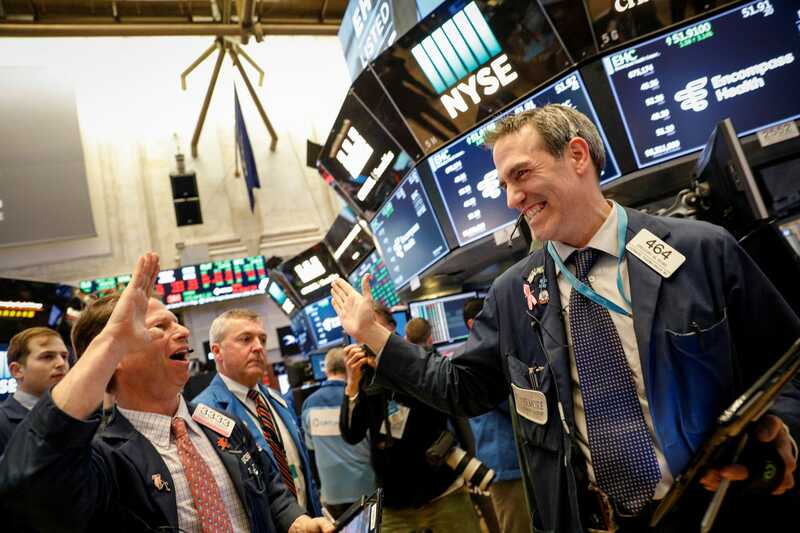 Stocks rose Wednesday, with Facebook hitting an all-time high, as trade worries took a backseat to a batch of stronger-than-expected earnings. Stocks jumped in the final hour of trading following reports of a trade deal between the US and the European Union. The dollar and Treasury yields fell. European Commission President Jean-Claude Juncker reportedly agreed to certain trade concessions in an Oval Office meeting with President Donald Trump. The president has previously appeared intent on ramping up protectionist measures on the EU. While Juncker was en route to Washington on Tuesday, Trump tweeted that tariffs "are the greatest." The European Union earlier announced it was preparing retaliatory tariffs on $20 billion worth of US products. EU officials had warned the duties would be enacted if President Donald Trump follows through with the 25% tariff on car imports to the US he has threatened. New homes sales in the US dropped to an eight-month low in June. Sales of new single-family units fell 5.3% last month, the Commerce Department said, a drop more than double the size that economists had forecast. US crude inventories fell to the lowest point since February 2015. The 6.15 million barrel drawdown, reported by the Energy Information Administration, was larger than expected. Prices of West Texas Intermediate, the US benchmark, jumped more than $1 to $69.25 a barrel following the EIA report. Earnings season rolls on. Coca-Cola and UPS posted stronger-than-expected numbers for the second quarter. Boeing fell short of analyst expectations and disappointed on guidance. General Motors topped Wall Street estimates but cut its profit forecast amid tariff concerns. Facebook posts earnings after the bell; Amazon and Twitter report later this week. The European Central Bank holds a policy meeting. Factory order numbers are out in the US.